As you’re weighing senior care options for yourself or an elderly loved one, cost is likely a top deciding factor. Depending on what level of care care your loved one needs, assisted living can be much more affordable than long-term in-home care or nursing home care. The monthly rates assisted living communities charge can vary widely depending on the location, amenities offered, level of care required and other factors, and typically range from $3,000 to $6,000 on average, according to Genworth’s 2018 Cost of Care Survey. The cost of assisted living can seem overwhelming at first glance. However, compared to the average cost of a nursing home ($5,000 to $10,000 per month) or in-home care (about $4,000 per month for 40 hours of care per week), assisted living is often one of the more affordable and convenient options if your loved one doesn’t need close medical supervision. Read on to learn more about the cost of assisted living and important steps you can take to make this type of care more affordable. The monthly cost of assisted living can be quite shocking if you’re unfamiliar with the factors that help determine that pricing. Everything from the level of care and amenities to room size and zip code can drive the cost of assisted living up—or down. The average monthly cost of assisted living in the U.S. is roughly $4,000 a month, or about $48,000 per year, according to Genworth’s latest Cost of Care Survey. By clicking on the map below, you can review the most recent averages for assisted living cost by state, using data from Genworth’s 2018 Cost of Care Survey. The following figures represent the average monthly costs of a private, one-bedroom unit in an assisted living community in each state. Many assisted living facilities base their pricing structure on the level of care that each resident requires. A resident who doesn’t require any specialized care can expect to pay less than someone who needs verbal instructions, reminders, or assistance with activities of daily living such as bathing, toileting or dressing. However, if a person needs hands-on care, such as help getting around, feeding themselves, or takes a great deal of medication (six to seven prescriptions is often the threshold), the cost increases subsequently. And if your loved one’s needs change during their time in a senior care community, the monthly cost can be expected to fluctuate. However, most facilities provide a detailed list of pricing and levels of care, both at the time of move-in and annually, or if requested during a care review. How Are Care Levels Assessed? Although the components of each level of care vary from facility to facility, there are some basic guidelines. Many assisted living facilities use a point system to determine a resident’s required level of care. No cost-of-care fee applies if the resident is considered independent and doesn’t require any help. This can also apply to residents who only need verbal instructions to complete the activities of daily living (ADLs). Residents who do require care are assessed prior to moving into the facility. The components that typically determine the level of care a resident requires are listed below. 1. Does the person require help showering or bathing? 2. How often do they require help? For example, a resident who needs help washing and drying her hair on a weekly basis would require a lower level of care than a resident who requires help with all bathing activities. Residents who are able to manage their incontinence without assistance (e.g., a resident who is able to change his or her own liner or diaper) shouldn’t have this service factored into the price of care. Residents who require help with their supplies will be charged. Higher levels of care include residents who exhibit behavioral issues around their incontinence; for example, a resident who refuses to let aides change his or her diapers. It is common for facilities to price incontinence care according to an individual resident’s needs as a separate service. A resident who requires care from multiple caregivers simultaneously is likely to be assessed at a higher level of care. Residents who require eating assistance can fall into all levels of care. The lowest level includes residents who can feed themselves but need help cutting up food into bite-sized pieces. Higher levels of care might require a caregiver to be present during all mealtimes, either because the resident is physically unable to eat independently or because he or she is at risk for choking. Some residents may be placed at a higher level of care if they have issues with consuming or hoarding food items that present a dietary, safety, or medical hazard. Lower levels of care provide assistance in keeping prescriptions filled and supervising or administering medications taken orally or in an inhaled form. Higher levels of care are for residents who require help with injectable medications and for those who require nursing supervision. Some facilities also place residents who require advanced medication management on a higher level of care. This typically happens when a facility has a specified number of medications that determines the threshold. Residents with Alzheimer’s or dementia usually require a higher level of care. Since dementia tends to be progressive, these residents will need to be reassessed regularly. Diagnosis: Has the resident been diagnosed with dementia? If so, how severe is it? Behavior: Does the resident exhibit combative or inappropriate behaviors? Monitoring: Does the resident need to be watched very often, or are a few daily checks sufficient–such as in the morning, evenings, and a few times throughout the day? Some facilities have devices to track residents with dementia, which can help reduce the workload on caregivers and potentially the cost for residents. Laundry service is sometimes included in the monthly rate, but sometimes it’s charged separately. Every facility has a different policy, so make sure to ask. Just as when you’re buying a house, square footage, number of rooms, bathrooms, location within the community (floor, proximity to amenities and/or elevator), view, and availability are calculated in the price point. Be sure to ask about all of your options, as most assisted living communities offer several different floor plans to help better manage the monthly cost of assisted living. Sharing space—and the subsequent costs—may also be an option if your loved one is interested in having a roommate. Some assisted living centers offer two bedroom apartment-style living which can trim costs anywhere from 10 to 20 percent or more a month. Along with the lower cost, the ability to have more space and a social companion can make shared living a better option for some residents. An assisted living facility’s staff-to-resident ratio plays a major role in the amount of attention each resident receives. And while a well-staffed facility is desirable to ensure greater attentiveness to your loved one’s needs, that concentrated attention will likely hike up the monthly cost of assisted living. The desire to choose an assisted living facility in—or near—a current zip code is understandable. If seniors find an assisted living facility in an area where they’ve lived for years, there’s little need to change doctors, switch shopping habits, and other routines that revolve around local establishments or organizations. But depending on where your loved one lives, changing towns—or even states—can greatly impact the amount monthly care will cost. Assisted living facilities in urban areas typically cost more than their rural counterparts because of the increased real estate value and cost of doing business. Relocating even an hour outside of a major metropolitan area can mean a drop in cost of up to 25 percent. Swapping states can also net significant savings. For instance, moving from Illinois, where the average monthly cost of assisted living is $3,898 to its neighbor, Iowa, can save $380 per month. A little further north, the monthly cost in Minnesota shaves $698 off the average cost in Illinois. Although they’re in the business of providing care, assisted living residences are still businesses. That means they wrestle with the same financial pressures as retailers, restaurants, and other businesses. To meet budgetary demands, residences may negotiate price breaks at the end of month, quarter, or year. If your family isn’t bound by a time constraint, waiting to move a loved one into an assisted care community might mean either a slightly lower monthly payment or financial perks like waiving the “community fee” (which can equal several months’ rent) or move-in credits. As you decide what is best for your loved one and run the numbers, it’s important to know all of the payment options that are available to you. It is easy to get overwhelmed when the comfortability and safety of your loved one hinges on your decision. Before looking at any of the potential facilities, it’s best to have a plan of action utilizing every resource you can. 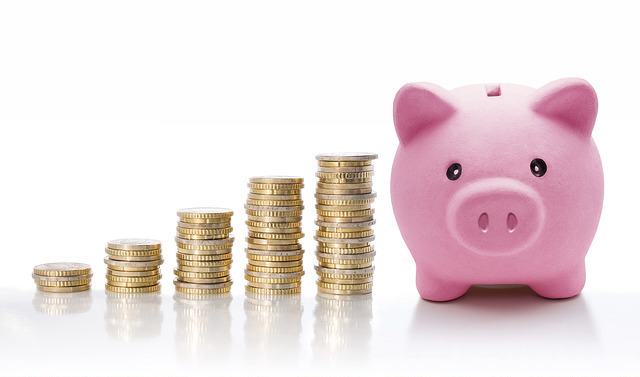 Here are some of the best ways you can “spare no expense,” without breaking the bank. While the cost of assisted living varies drastically and can, at times, seem overwhelming, there are several ways to circumvent the bulk of this financial burden. If your loved one or their spouse has service-related injuries or disabilities, benefits can be applied toward the cost of assisted living. Aid and Attendance benefits are available to any disabled veteran (or spouse) whose income is below a given amount. In order to receive the benefits to which your loved one is entitled, you’ll need to go through the Veteran’s Administration, which can be a complicated, time-consuming process. Therefore, consider working alongside a geriatric planner who’s familiar with the ins and outs of the system and can help simplify the process of qualifying for benefits. Often, senior living communities offer financial concierge services that will guide you through the process of applying for benefits. While most purchase life insurance with their beneficiaries in mind, policies can be applied toward “living benefits,” if needed. Based on the policyholder’s monthly premiums, age, and health, the company will likely buy back the policy for 50-75% of its face value. Some policies will not offer “accelerated” or “living” benefits unless the policyholder is terminally ill, while others are much more flexible. 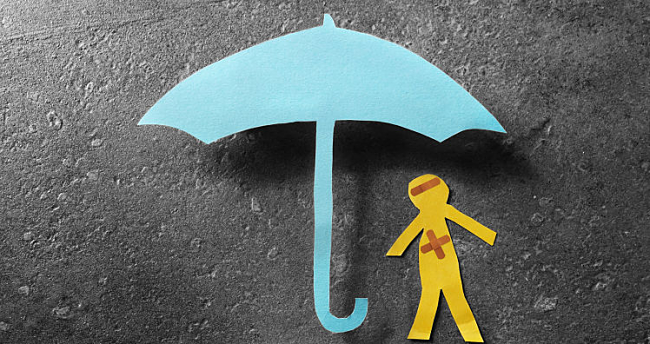 If your loved one’s insurance policy does not allow for living benefits, there are still options for you to consider. For example, they can sell their policy to a third-party company in return for a “life settlement” or “senior settlement,” which usually consists of 50-75% of the policy’s value. After purchasing the policy, the monthly premiums become the responsibility of the third-party company, and that company receives the full value of the policy after the original policyholder dies. Another option, known as the “life assurance” benefit or “life insurance conversion program,” allows seniors to convert their policy benefits directly into long-term care payments. Life insurance conversion typically pays less than a life settlement–generally between 15 and 50 percent of the policy value–but is available for policies of lesser value that might not qualify for life settlement. If you’re worried about Mom or Dad living alone, other family members may be worried, too. Getting everyone together to talk about it sometimes makes it possible to find a solution, such as pooling assets and trading money for time. For example, if one or two siblings or family members handle the majority of daily care, such as driving to medical appointments, others with less flexible work schedules might contribute money instead. If there’s a family home that no one wants to sell yet, siblings with available funds might pay for assisted living with the promise of repayment when the house is sold. The research and paperwork associated with finding and selecting assisted living facilities and qualifying for financial support can be tedious and overwhelming. Sometimes families get stuck because no one feels qualified to take on the task. It can be a huge relief to work with a geriatric care manager or senior move manager who is familiar with the resources in your area. A care manager can work with the entire family to present options, resolve roadblocks, and help you find the perfect situation for your loved one. Money matters can also cause family tension. If you’re having trouble communicating about this challenging topic, learn more about how to handle family conflicts. You might also enlist the help of a mediator. If you or your loved one purchased care insurance, consider yourselves lucky. Long-term care insurance policies apply to assisted living care–all you need to know is how to collect your benefits. Some long-term care policies have a specific designated benefit for nursing home care, based on a mental or physical diagnosis, which can be used to pay for assisted living. 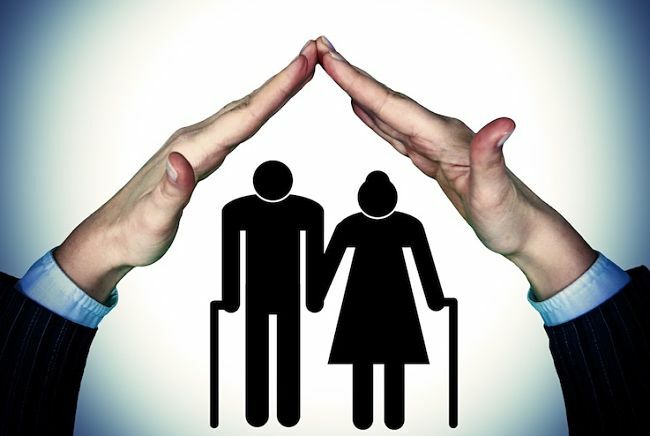 The policy may also set a designated payment for home care, which can then be paid directly to the assisted living facility or to the beneficiary, who can then use it to pay for assisted living. If your loved one hasn’t already purchased long-term care insurance, it’s likely too late to do so now. However, there’s still time to sign up for a long-term care policy yourself to avoid putting your own family in the same situation in the future. If you have a nest egg but you’re concerned about outliving your resources, an annuity might be a good option to consider. When you purchase an annuity, you pay a lump sum upfront and receive regular payments back over a predetermined period of time–usually the rest of your life. An annuity can help stretch your savings and ensure that you’ll always have some reliable income. Their big benefit is that you continue to receive money regularly, even if your purchase premium runs out. If you live for a really long time, you will get more back than you put in. The underwriter takes the risk that you might live longer than the money lasts–and makes extra profit if you die early. Underwriters don’t go into the annuity business expecting to lose money, but annuities can still be a better deal for you than just depleting your bank account every year. Another benefit is that annuities aren’t fully counted as assets by Medicaid when you apply for government assistance. The income from the annuity is counted as a “resource,” but the full sum originally used to purchase the annuity is not. Annuities are complex financial tools with many variations. Some require initial purchase to receive future payments, while others deliver immediate payments; some are based on a fixed interest rate, others work off variable rates. You’ll want to do some homework and talk to a trusted financial adviser about which annuity options might be appropriate for your situation. Be very cautious when investing in annuities. There are unscrupulous marketing schemes pushing phony annuity deals that target vulnerable seniors through community centers, adult education seminars, telemarketing, and slanted advertising. And outright annuity fraud is more common than most people realize. Always use your common sense filter: If it sounds too good to be true, it might be a scam. You’ll want to choose a reputable company when you buy an annuity and work with a highly-recommended representative. And make sure your representative helps you think through some of the trickier details like inflation. If your loved one owns a home outright or is close to paying it off, a reverse mortgage might be the solution you’re looking for. A reverse mortgage allows you to cash out the value of your home equity, either in full or in a series of monthly payments. 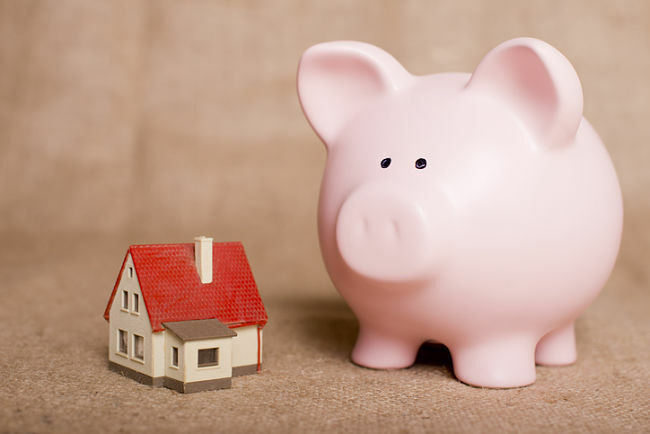 The bank decides on a value based on what the home is worth, interest rates, the applicant’s age, and other factors, and the loan balance gradually increases over time. (If a bank holds a mortgage on the house, it has to be paid back before you can begin receiving payments.) The borrower can stay in the home until death even if the loan balance exceeds the home’s worth. Upon death, the loan balance must be repaid, which usually requires selling the home. Reverse mortgages were originally developed to help widows remain in their homes after the breadwinner passed away. Today, they work best when one parent needs assisted living but the other can remain in the home. To apply for a reverse mortgage, one homeowner must be over the age of 62 and one person must continue to live in the home. Be sure to spend time researching the pros and cons of reverse mortgages, as they aren’t for everyone. For example, it’s probably not a great choice for a beloved property that you want to keep in the family. Finally, a reverse mortgage is a big commitment, so it’s important to work with a reputable company. Make sure you understand the terms and read the fine print, as there are many rules about homeowners’ insurance and mortgage insurance and keeping the property well maintained. There may also be high fees involved or clauses that make it easy to lose the home. The Consumer Financial Protection Bureau recently reported that reverse mortgage scams and foreclosures are on the rise. If only one parent is currently living, or if both parents need assistance with daily living, the family home can be an important resource. Selling is an option, of course, but for many families, Mom and Dad’s house is cherished, and family members aren’t ready to make this decision. In this case, consider renting out the house and using the rental income to pay for assisted living. The idea of being a landlord might seem scary, but for a fee, you can hire a service to manage the property for you and still generate enough income to ease the burden of assisted living costs. If your loved one doesn’t have much in terms of savings or other financial assets and their income is low, they may qualify for Medicaid, which can help pay for assisted living. In many states, Medicaid programs go by another name, so it’s a good idea to look up the name of your state’s program online (example: Arizona Long-Term Care System) if you’re not already familiar with it. 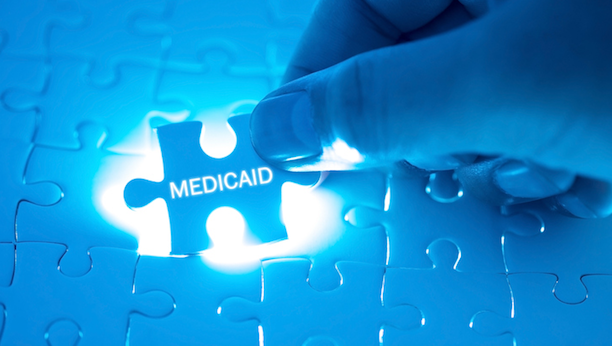 Medicaid eligibility varies by state, but typically, it requires the recipient to have less than $2,000 in assets beyond their home and car in order to qualify. Only some assisted living communities will accept Medicaid, and Medicaid beds are usually limited. To find long-term residential care options near you, check with your local Area Agency on Aging. To help you navigate the maze of signing up for public benefits, you can also call for a free consultation from a Government Health Insurance Counselor. Important Note: While Medicaid can help with the cost of assisted living, neither Medicare Part A, Medicare Part B, and Medicare Part C covers residence in an assisted-living facility. •The care must be performed or delivered by a healthcare provider who participates in Medicare. Your next step will be finding assisted living facilities that accept Medicaid. If you’re doing your own research, some states do offer a provider list or a searchable directory, but these can be hard to find online. To help you out, we’ve compiled a list of these resources in the table below to help you find local assisted living facilities that take Medicaid. If you would prefer to talk to an expert, you can contact your local area agency on aging and ask any questions about Medicaid and assisted living. Case managers can assess your loved one’s needs, work with you on financial planning, and help you put together a care plan that fits your senior’s medical needs. After you have done your preliminary research and found some assisted living facilities that accept Medicaid, you may run into some bumps along the road. It’s important for you to know what they are so you can plan your solutions ahead of time. Unfortunately, a lot of people encounter issues getting qualified for their state’s HCBS waiver. HCBS waivers may require a higher level of medical need than that for which your senior qualifies. HCBS waivers often have limited spots, and you may find yourself on a waiting list even if you qualify from a medical or financial standpoint. Plan two or three of the other funding options listed above. Work with a geriatric care manager who knows the resources in your area. Medicaid is a complicated system, but it does provide useful services for long-term care. Now that you have all the basic information, you should be able to build a solid plan to get the best care possible for your loved one. Be sure to utilize the many resources available to you!